Sometimes, the best things in life happen when you least expect them. This proverb is ever so true in the beautiful game of football, and Nemanja Matic’s wonder-goal against Crystal Palace proved just that. Man United have already labored through most of the season knowing that they weren’t going to catch up to local rivals Man City. Pep Guardiola’s men have kept on winning, and with United constantly slipping up, it is no surprise as to how there is an embarrassing 16-point gap between first and second place. 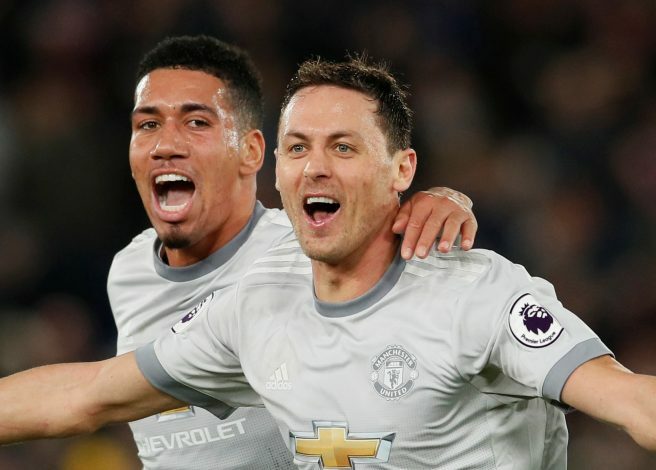 However, against Palace on Monday night, United were inches away from seeing that margin grow even bigger – until Matic picked the most perfect moment to find his long lost shooting boots. Jose Mourinho’s men managed to claw their way back from 2-0 down at Selhurst Park, and with the momentum firmly on their side, they threw everything they could to find a way to win the game. However, nothing appeared to be working, and with just two-and-a-half minutes left on the clock, it seemed as though Palace would get away with a draw. But that was until the ball bounced, twice, in front of Matic. According to reports in M.E.N, everyone on the United bench feared the worst when they saw the Serbian eye the ball and line up the shot. Club captain Michael Carrick even reportedly yelled ‘NO!’ when he saw the 29-year-old get ready to shoot due to his extremely poor conversion rate in shooting practice during training. However, everyone who doubted him, including the likes of Carrick, Matteo Darmian, Joel Pereira, Eric Bailly, Scott McTominay, Ashley Young, and Antonio Valencia, were soon off their feet thanking their lucky stars that the Serbian hadn’t heard them. Matic unleashed one of the most incredible rasping half-volleys he has ever struck to win the game for the Red Devils, in what was just his 23rd goal in the 390 career appearances he has made to date.